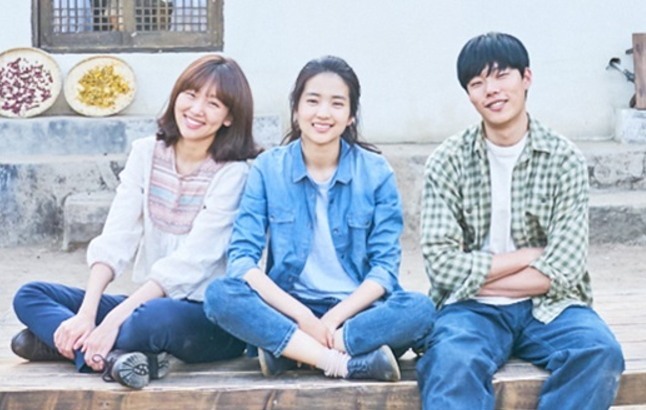 Filming for the film “Little Forest,” starring Kim Tae-ri and helmed by Yim Soon-rye, has wrapped up after a year of shooting, its distributor Megabox Plus M said Thursday. Kim, who previously starred in Park Chan-wook’s “The Handmaiden,” will play Hye-won, a woman who, exhausted by city life, decides to return to the countryside. Cooking and living alongside childhood friends Jae-ha, played by Ryu Jun-yeol, and Eun-sook, played by Jin Ki-joo, Hye-won strives to heal herself from the scars of modern life. Shooting took place in a small village in South Gyeongsang Province. The film is the latest work of female filmmaker Yim, who last directed “Whistle Blower” (2014). The film aims to capture the changing of seasons. “We had to return to set every time a new season came round,” said Jin. “It was a difficult time but it was warmer and more fulfilling than ever,” said Kim. The film will hit local theaters in 2018.